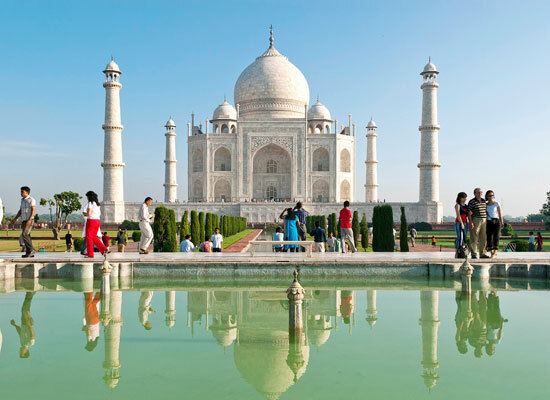 India for travelers is a vast treasure of history, heritage, architecture and amazing experiences. 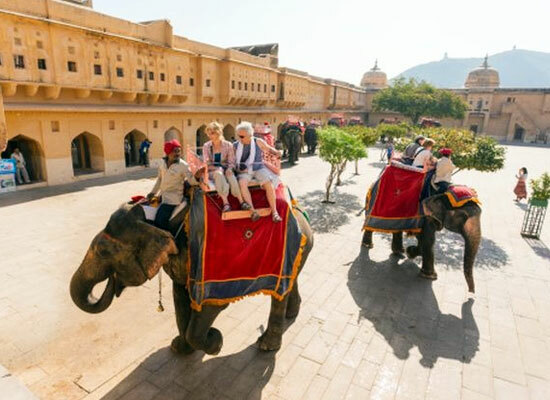 For a similar incredible time, Heritage Hotels of India presents the Golden Triangle with Dunes itinerary. The 6-day journey starts from Delhi, covering Agra, Fatehpur Sikri, Jaipur and the dunes of Dhula Raoji. The tour covers sightseeing including some of the UNESO World Heritage sites. Shopping at the bustling markets. Heritage stay and royal pleasures. 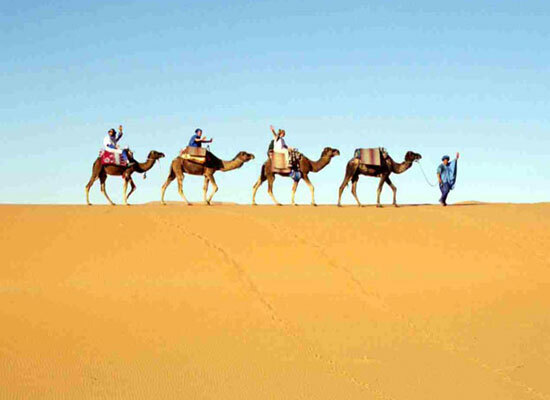 Enjoy a glimpse of history, diverse culture and the excitement of exploring the dunes of the Thar Desert. For more information peruse the detailed itinerary below. Upon arrival at the Delhi Airport, meet with the tour representative. Get assistance for transfer to the hotel. Check-in and relax. Spend the rest of the day at leisure. You can try sightseeing, shopping or the nightlife. Overnight stay at heritage hotel or similar category. Begin Day 2 of your tour with a lavish breakfast. 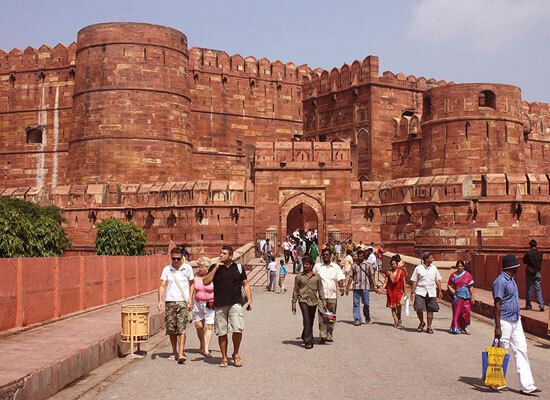 Today, you will proceed for a sightseeing tour of the capital city Delhi. Pay a visit to the impressive Laxmi Narayan Temple. Next visit India Gate, the cenotaph honors Indian martyrs. 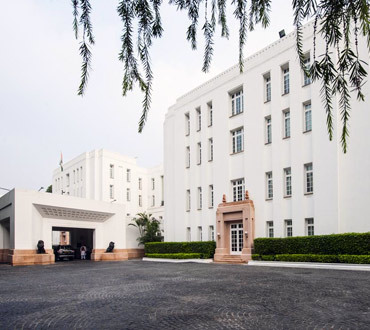 Explore the other sights of Lutyen's Delhi including the Parliament House, Rashtrapati Bhavan. Old Delhi's Jama Masjid, India's largest mosque is also a part of your tour. The soaring Qutab Minar, famous Purana Quila, Humayun's Tomb and Jantar Mantar observatory are also a part of the sightseeing. End the day with a visit to the Mahatma Gandhi's memorial, Raj Ghat to pay homage to the Father of the Nation. Post breakfast, check out of your hotel and proceed to Agra by road. After the 4-hour journey, check into the hotel. After stretching your legs, embark on a sightseeing tour. First stop of the day, the ethereal Taj Mahal. A vision of white marble, the mausoleum was built by the Emperor Shan Jahan for his beloved wife Mumtaz Mahal. One of the wonders of the world, it is thronged by tourists from far and wide. Later, pay a visit to the marvelous Agra Fort. Make captivating Itmad-ud-Daula's Tomb, the last stop of the day. In the evening, explore the local markets for shopping. Day 4, check out of the hotel and drive towards Dhula Raoji. On the way stop at Fatehpur Sikri. The abandoned city of the former Mughal Empire is a beauty. Cover the amazing sights of the sandstone city including the Jama Masjid, Palace of Jodha Bai, Birbal Bhavan, Panch Mahal and the Buland Darwaza which is also the world's largest gateway. After your exploration, continue driving towards Dhula Raoji. Settled on the outskirts of Jaipur, it's the ancestral home of Dhulas, a brave warrior family of Rajputs. 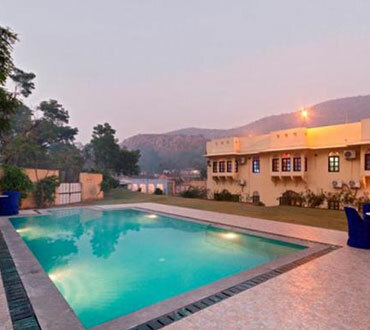 On arrival, check-in the Dhula Garh heritage hotel. In the evening, pay a visit the sand dunes nearby. 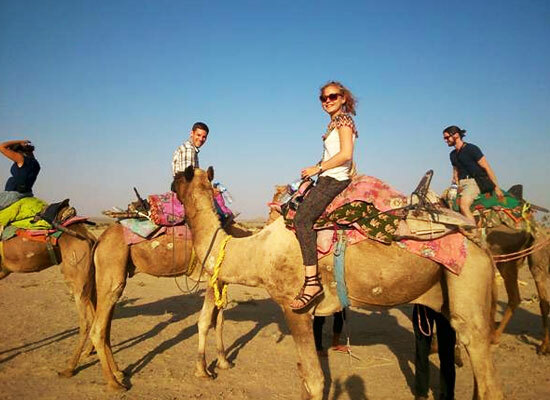 Camel safari, horse, safari or jeep safari are available for your pursuits. Start the day early. Embark on village safari or trekking. Return to your hotel and treat yourself to lavish breakfast. 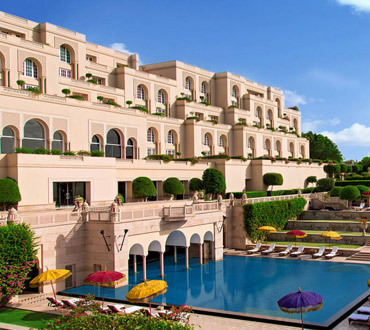 Later, check out of the hotel and proceed to Jaipur. On your arrival in the royal city, check in at one of the listed hotels. 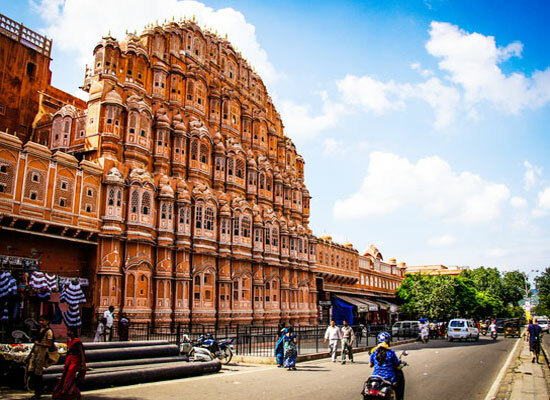 Embark on a sightseeing tour of the Pink City. Explore the City Palace. 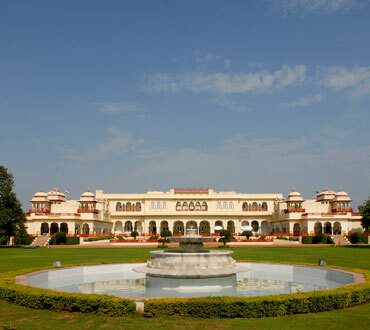 Flanked by courtyards, lush gardens, monuments and many tourist sites, it is the home of the royal family of Jaipur. Next, pay a visit to the Jantar Mantar Observatory, a wonder of architecture and scientific knowledge. 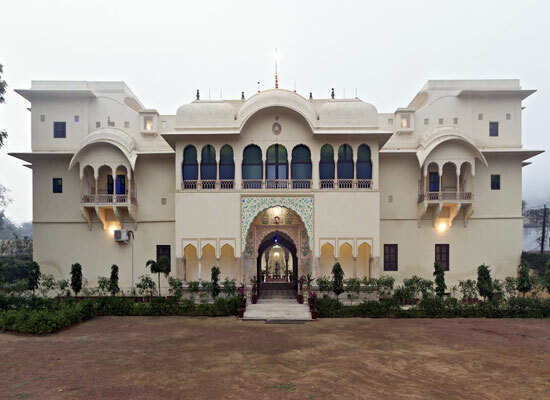 Also, explore the Nawab Sahab Ki Haveli and the breathtaking Hawa Mahal or Palace of Winds. Today is the last day of Golden Triangle with Dunes tour. Go for visit to Amer fort. Arrive to the mighty fort on elephant back. Later opt to go shopping. Later, drive towards Delhi. Upon arrival, head straight to the airport/railway station to board the onward flight/train. Air-conditioned transport as per itinerary.